What's this trip about, then? This July, members of Southampton Student Scout and Guide Organisation (see below!) are travelling to KISC - the International Scouting Centre in Kandersteg, Switzerland! It's going to be an amazing trip including activities in the picturesque Swiss mountains, meeting lots of like-minded scouts and guides from all parts of the globe, helping the centre with service projects and also the opportunity to spread the word of our national SSAGO to other countries - and help them with setting up their own resources and organisations for student scouts and guides in their country too! The trip, organised by Southampton SSAGO, is being run for adult scouts and guides from the Southampton area. This includes students from Southampton University, Solent University and members of the local scout Network - we have 24 coming in total! These groups help keep young adults interested in Scouting and Guiding - providing a link to volunteering both in a local and national level! A wide variety of activities form the groups' programmes, including adventurous, social and community events and projects. As with all amazing trips there is often a considerable cost behind them - and students and young people are not known for being the richest! The money we raise will go towards the trip - and through this help fund the scouting and guiding organisations and improve our links with them - a fantastic all around as our members gain an enjoyable memorable time scouting and guiding at university - setting them up to be future leaders, helps and volunteers. 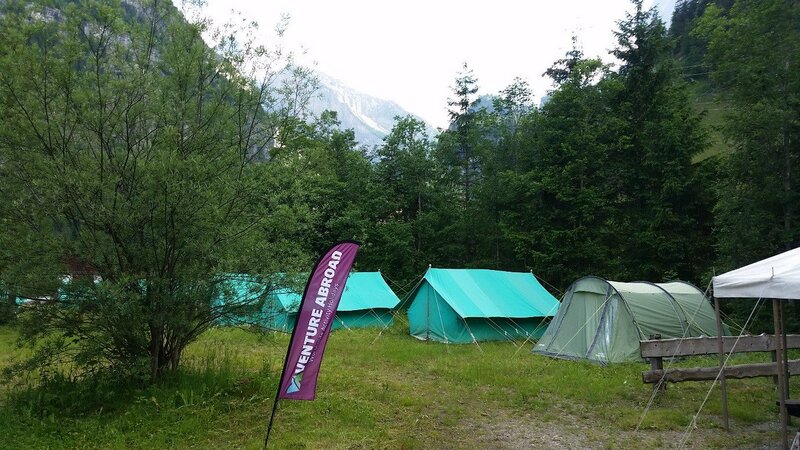 KISC is an expensive place to stay - the cost of basic camping alone is around £1,100 - add in tent hire and the infamous Swiss tourist tax and the cost reaches over £2000! We've saved money in every possible way which means we can fund most of the trip ourselves - but we still need your help to make this trip the best it can be! 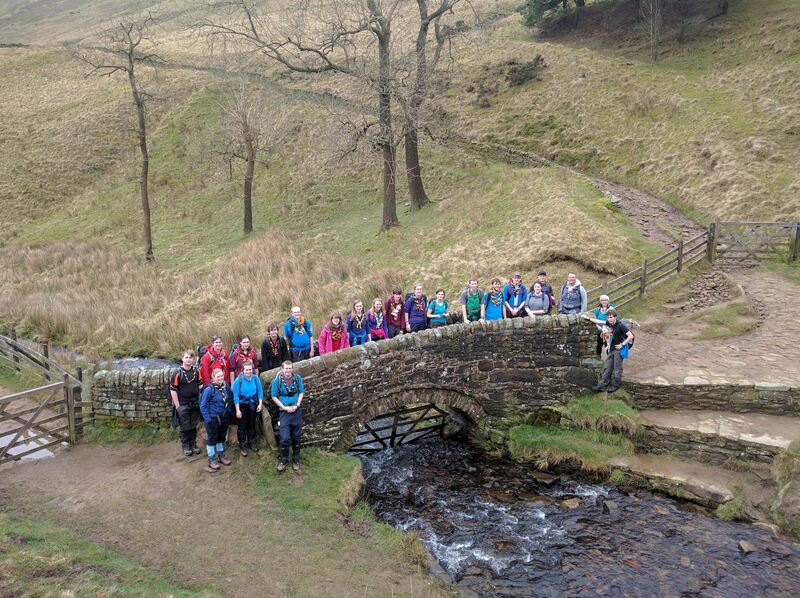 Your support would allow us to offer a wider range of better activities - allowing us to give attendees skills ranging from leadership and organisation to activity permit skills such as climbing or hiking in mountainous conditions. Running self-led climbing requires renting and buying specialist equipment, totalling around £120 for helmets, harnesses and quickdraws. Additional transport costs for moving kit to and from the train station would be extremely useful - especially after travelling continuously from 2 am. The campsite is located several kilometres up a large hill - hiring a truck from the campsite to move kit and buying bus-tickets to take people could cost £30 for the truck and another £40 for the bus! Anything and everything you can give to support us will be welcomed with open arms - it allows us to run the best trip we can! For those of you who go the extra mile we have some amazing merchandise available - have a look at our rewards on the right! We have rewards ranging from badges and T-shirts to specially created booklets with games, songs or even a booklet filled with the pictures, stories and memories from the trip! We also have three specialist booklets, produced for this trip and carefully selected to provide both a fantistic variety as well as Southampton SSAGO's favourites and special touch. We have the Campfire Songbook - a selection of carefully curated songs from our favourites - suitable for all ages from Brownies and Cub Scouts, to Explorers and the Senior Section, and beyond! We have the Camp Activity Extravaganza - full of different camp activities we enjoy and we think you will too. Perfect for filling those small moments between activities to relaxed afternoons around a fire this selection of games, activities, recipes and more is perfect for both your family and scout group! Finally we will create the Camp Memories book - containing stories, pictures and eye-witness accounts of the best moments of the trip so you (and your sentimental family members) can enjoy it for years to come! Even if you can't provide a monetary donation, that doesn't mean you can't help! Share our group on Facebook, have a look at our website, or you might even be interested in joining us in the future! Donate £4 and you (or your organisation/society) receive a special mention in our social media! Donate £5 or more and receive a limited edition trip badge. Designed by one of our own committee it's perfect for blankets, bags or whatever you feel like! Donate at least £45 and your very own event T-SHIRT, and we'll even throw in a badge and a booklet as well! Donate at least £60 for your very own event T-SHIRT, and we'll also ship a badge and ALL THREE BOOKLETS! Donate at least £100 and receive any item of event merchandise including T-SHIRTS and HOODIES, as well as a badge and all three of our booklets!